Two more women came forward to accuse Joe Biden of uncomfortable touches on April 2 as the former vice president reassured supporters that he’s still planning to run for president. The two women, Caitlyn Caruso, 22, and D.J. Hill, 59, relayed their stories to The New York Times. Caruso, a sexual assault survivor, said Biden rested his hand on her thigh even as she squirmed to show her discomfort. Caruso was 19 at the time and had just told her own story at an event on sexual assault at the University of Nevada. 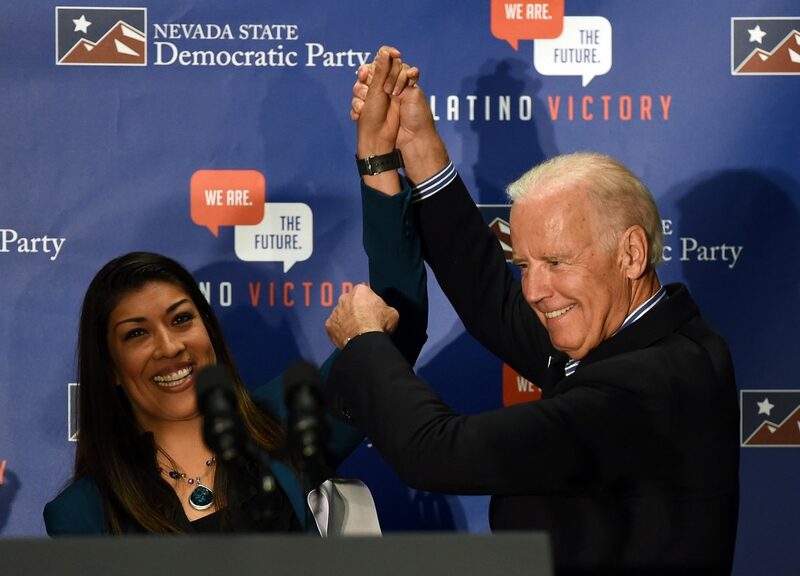 Caruso said Biden also hugged her “just a little bit too long.” Biden’s actions made Caruso uncomfortable since she thought that, as the architect of the 1994 Violence Against Women Act, he would be sensitive about physical boundaries. Hill’s husband noticed Biden’s move and stopped him by placing a hand on Biden’s shoulder and making a joke. Hill doesn’t know what Biden’s intention was. “Only he knows his intent,” Hill told the New York Times. Hill and Caruso came forward after two other women accused Biden of inappropriate touching. Amy Lappos, a former congressional aide, told the Hartford Courant that Biden “put his hand around my neck and pulled me in to rub noses with me” during a fundraiser in Connecticut in 2009. “When he was pulling me in, I thought he was going to kiss me on the mouth,” Lappos told the Hartford Courant. Meanwhile, a number of women have come forward to say that similar touches from Biden did not make them uncomfortable. Stephanie Carter, the wife of former Defense Secretary Ashton Carter, responded for the first time to a picture taken of her with Biden during the swearing-in ceremony for her husband in February 2015. Carter wrote in a blog post that she appreciated Biden’s gesture. Several other women interviewed by The New York Times also said Biden’s gestures did not make them uncomfortable. In a video post on Twitter in response to the allegations, Biden said: “It’s just who I am. And I’ve never thought of politics as cold and antiseptic, I’ve always thought of it [as] about connecting with people. 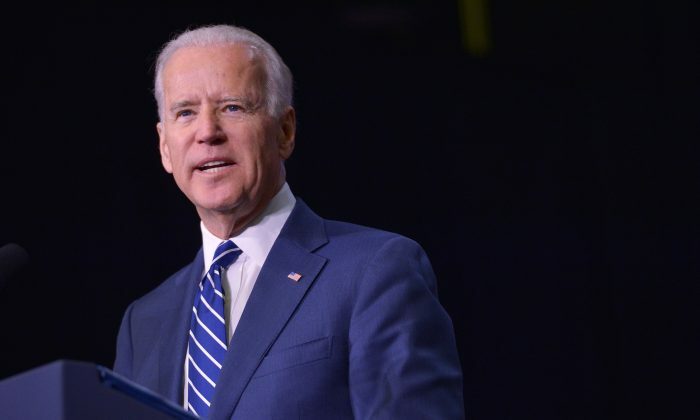 As the allegations continued to surface, Biden told supporters he still plans to run for president and is waiting until after Easter to make an official announcement, according to a Biden adviser who spoke to Fox News anonymously. Despite not having announced an official run, Biden is the leading candidate in the Democratic field, according to an average of polls maintained by Real Clear Politics. Socialist Sen. Bernie Sanders (I-Vt.) is second in the field and trails Biden by 7 points.